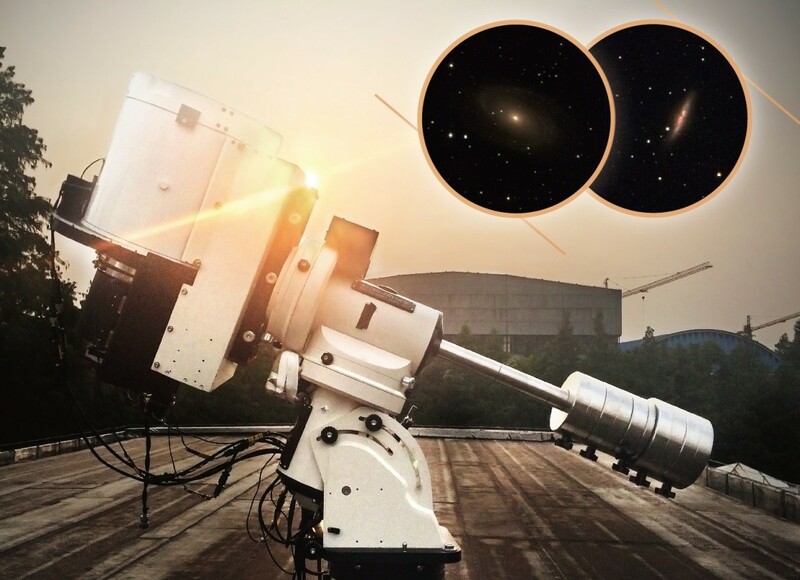 Testing BSST on the roof of Nanjing Institute of Astronomical Optics and Technology mirror lab & BSST Images with 7' FOV (field of view). Dome A, the summit of Antarctic Plateau, has been supposed to be one of the most inaccessible parts of the continent where the elevation height is 4091 m, and the average temperature of the year is about -56 ℃. In January 2005, the Chinese National Antarctic Research Expeditions arrived at Dome A for the first time, and set up the Kunlun Station on January 27th, 2009, which makes the Dome A region become one of the best candidates for astronomical observations. Site testing over the past decade reveals that atmospheric scintillation at Antarctica Plateau is weaker than that at temperate observatories, and the free atmosphere seeing is better, transparency is greater and turbulent boundary layer is lower. Moreover, the in-situ Antarctic telescopes manage to continuously observe for several months in polar nights, which is quite suitable for time domain astronomy. Several Chinese Antarctic telescopes, including Chinese Small Telescope Array and two Antarctic Survey Telescopes, have been deployed on Dome A by Chinese Center of Antarctic Astronomy. The Antarctic Bright Star Survey Telescope (BSST), for exoplanets survey in a relatively large sky area around the South Celestial Pole, has been successfully developed by Nanjing Institute of Astronomical Optics and Technology (NIAOT), Chinese Academy of Sciences, and University of Science and Technology of China. The results are reported in Chinese Optics Letters, Vol. 13, No. 11, 2015 (Z.Y. Li et al., Optical design for Antarctic Bright Star Survey Telescope). BSST has an aperture of 300 mm, a field of view of 4.8°, and 7 filters, which meet wavelength coverage from 0.36 μm to 1.01 μm. The telescope requires qualified operation in domestic sites and Antarctic site, working within the temperature range from -80 ℃ to 40 ℃. The difficulties are that mirrors will frost when the ambient atmosphere warms up quickly in Antarctica, and the temperature deformation, especially for the optics, will possibly degrade the optical performances. In the research, optical design of the BSST, tolerance analysis and alignment plan have been conducted. Based on the fully understanding of Antarctic telescopes construction, Dr. Zhengyang Li, from this research group, says that the optical design and tolerance analysis guarantee the quality of BSST. The test observation in Yunnan Observatory reveals that a single star image with 120 seconds exposure is deep to B=16.7, V=17.1 and R=17.1 magnitude in clear nights, and offered a photometric precision of 4.5 millimagnitude for a 12 magnitude stars in open band. Transiting events of exoplanets HAT-P-3b and HAT-P-12b was successfully observed. The telescope is planned to be installed at Antarctic Zhongshan Station in January 2016, and operates for 2 or 3 years before carrying out transits survey at Dome A. BSST, a unique and powerful telescope, convinces the astronomers to make significant discoveries in Antarctica.